Website Monitoring Tool designed and developed on the requirement of Webmasters and the Website owners so that they can regularly check the status of any website and web based application and monitor website’s real time performance. 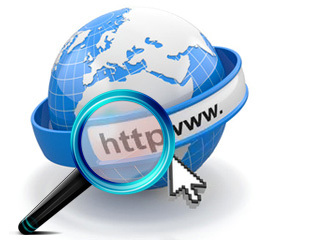 Website traffic monitoring utility is fully capable to check the behaviour and availability of important Web sites (i.e. uptime, downtime and error checking of the websites). 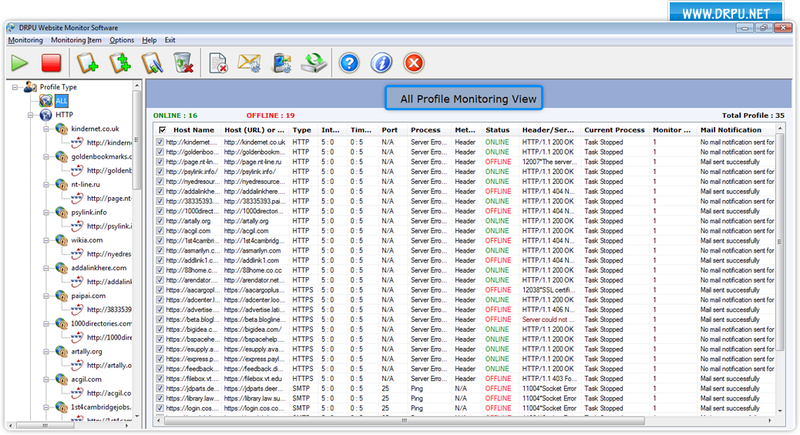 Website performance monitoring tool alerts user through email or sound beep or by running a specific program if any error like ‘Connection Failed’, ‘Server Not Found’, ‘Low Bandwidth’, ‘Host not Found’, ‘Low Connectivity’ etc. occurs. The software is based on GUI technology thus provides user a highly interactive interface so that the software can be operated easily by the non-technical user without any technical help. A user manual is also provided with the software for user guidance while operating the software. ◆ Website traffic analyser assists the user by monitoring the website performance regularly in 24/7 environment and helps you to keep constant view on performance and status of your website. ◆ Website uptime, downtime and ping status can be monitored at one time thus saving the time taken in monitoring the sites one by one manually. ◆ Alert notification will be given to user if Connectivity Network Status is not working, Low Bandwidth, Connection get Failed, Server Not Found or Host Not Found etc.